Rhinosinusitis refers to any inflammatory condition of the nose and paranasal sinuses. Although the terms rhinitis and sinusitis are often used independently, the term rhinosinusitis reflects an understanding that most pathological processes will affect the entire mucous membrane of the nose and sinuses. 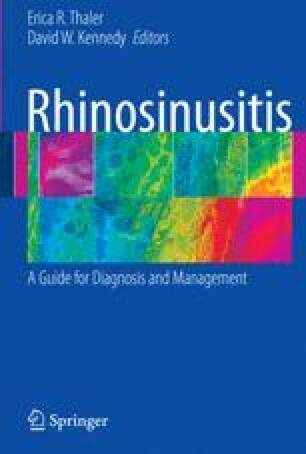 Rhinosinusitis represents a heterogeneous group of diseases and is the end result of a myriad of pathophysiological processes that include infection, allergy, autoimmunity, environmental exposure, structural abnormalities, hormonal effects, and genetic disease. The interaction of multiple processes in each individual patient further complicates the understanding and management of the disease.